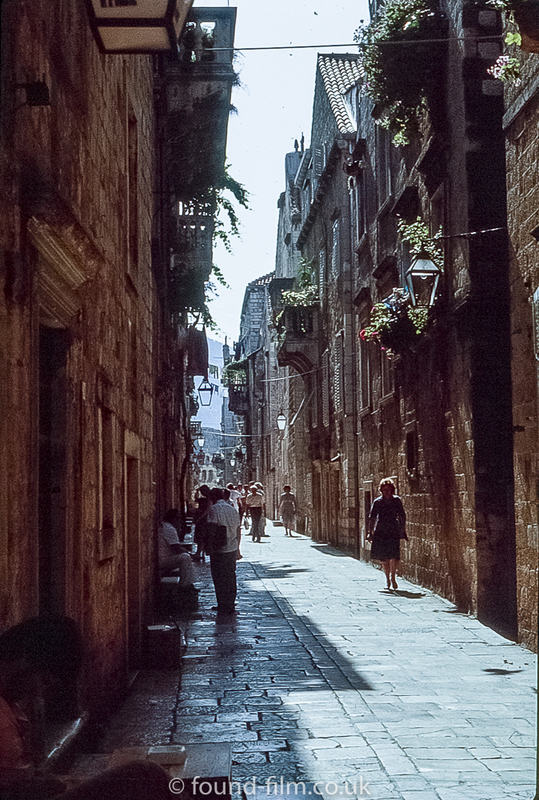 This is a street scene of a narrow street with the sun shining down it. This looks Italian to me, or rather puts me in mind of Italy, although there is absolutely no evidence that this was taken in Italy. The slide mount is a plastic Fujifilm, so I would guess this was taken sometime in the 1980s.